2018 sees the launch of an exciting and unique collaboration between two leaders of the North East of England music scene in their respective musical genres. Internationally-acclaimed musician and singer-songwriter Gary Miller (“As a song poet there are few in the world today to match him”, Green Man Review, U.S.A.) has teamed up with the award-winning Ferryhill Town Band to record a brand new version of Gary’s song ‘The Durham Light Infantry’, released as a CD and Digital Download Single in February 2018 on Whippet Records (WPTCD26). 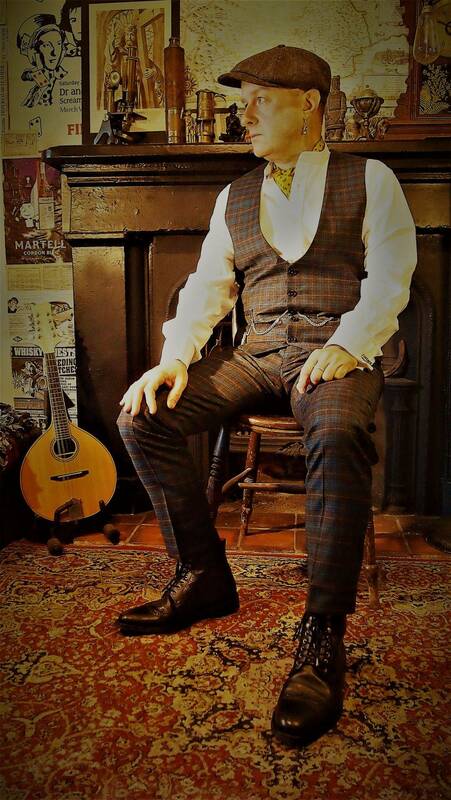 Gary Miller is co-founder of internationally-successful Durham-based cult-folk-rock band The Whisky Priests (“You’ll never see another live band to touch them”, Manchester Evening News, UK) and director of Whippet Records. The Durham Light Infantry was the second song Gary wrote for his band The Whisky Priests, in 1985. The original version was eventually recorded in 1989 as the final track on the band’s debut album ‘Nee Gud Luck’ (“The contemporary folk masterpiece”, Rock 'N' Reel, UK). 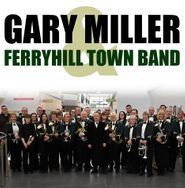 Ferryhill Town Band is a 2nd section band based in County Durham. Under the direction of Gareth Sykes, the band performs concerts and competes at various competitions within the North East and neighbouring regions. During 2017 they enjoyed success at 8 competitions throughout the year. 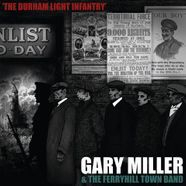 Gary Miller & The Ferryhill Town Band - ‘The Durham Light Infantry’ is the first advance single to be taken from Gary’s forthcoming album ‘From Coalfield to Battlefield’. The album is based on a collection of songs he was commissioned to write by the DLI Research & Study Centre for ‘When The Bugle Calls’, a year-long travelling exhibition celebrating the Music of the Durham Light Infantry, launched at Bishop Auckland Town Hall on 5th December 2017. It follows ‘hot-on-the-heels’ of his epic-scale ‘Mad Martins’ 3xCD and 104-page Deluxe Book (“This is a major contribution to the North East music scene”, Jez Lowe, Northern Echo, UK).